Toying with the idea of using a black carpet in my dark saddle interior. My daily driver has that combo and it looks great, but wondering if it will look as good in a C3 interior. 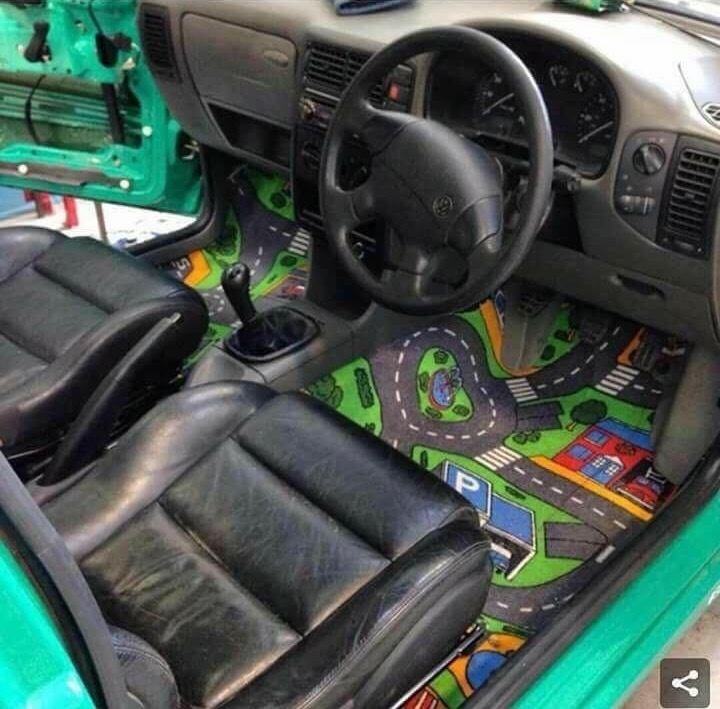 Anyone have pics of a black carpet used in a non-black interior? 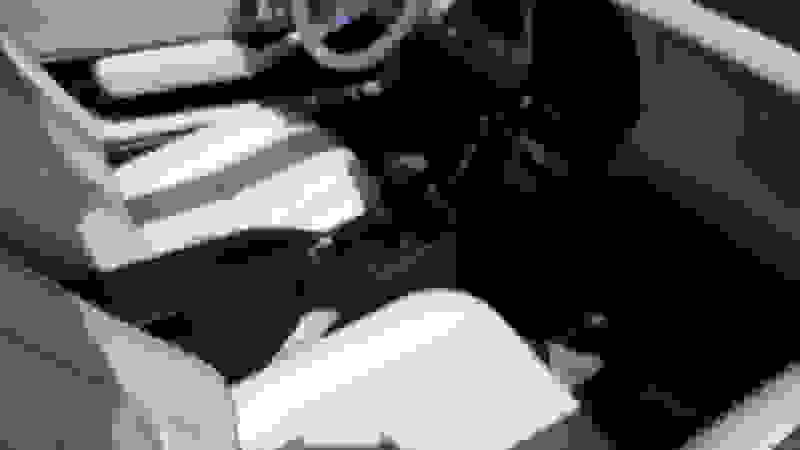 Last edited by zwede; 05-10-2018 at 03:28 PM. 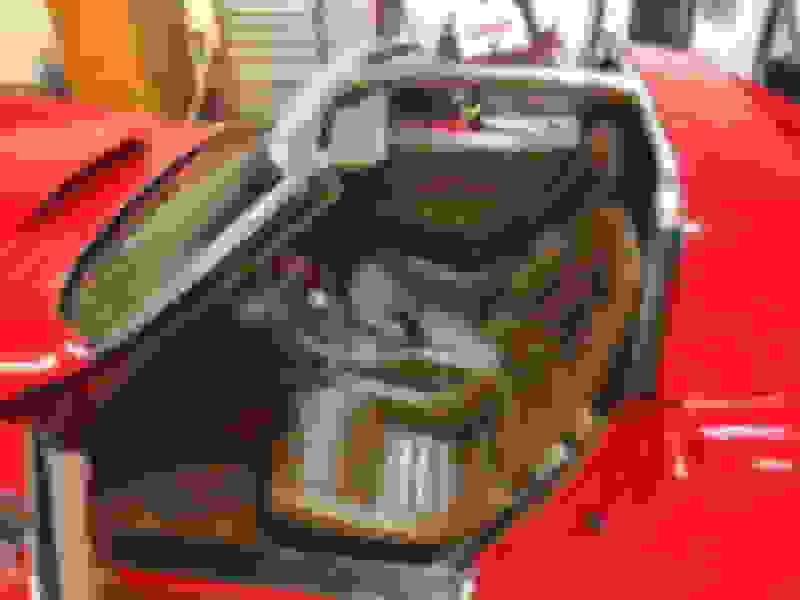 I'm a saddle interior guy with my 65 and could not vision black carpet. 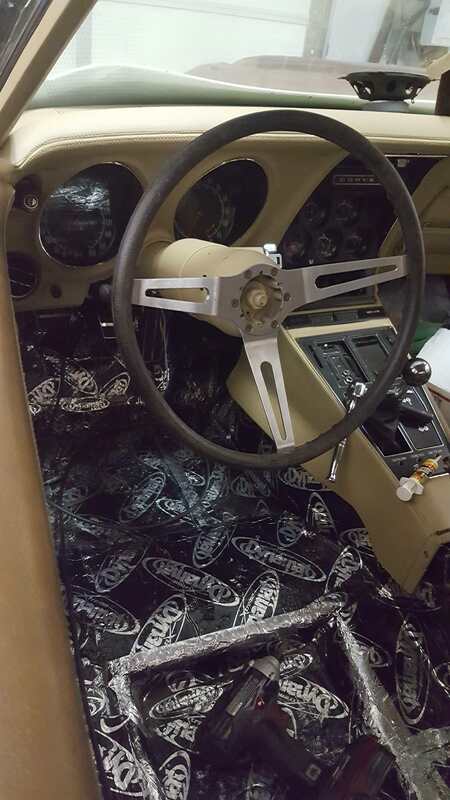 My interior is Oyster, aside from the armrest over the parking brake, which I dyed black. I'm still using my silver mats though. I have trouble envisioning it too, hence the pic request. I am planning on installing black carpet into a light saddle interior. I do not have the carpet in yet, but do have Dynamat laid down, so just imagine it as black carpet instead of Dynamat. Just my opinion, but I think it works with the Oyster interior pictured here. With the saddle, probably not so much. I know the saddle carpet can show a lot of dirt sometimes. It's a poor hider. 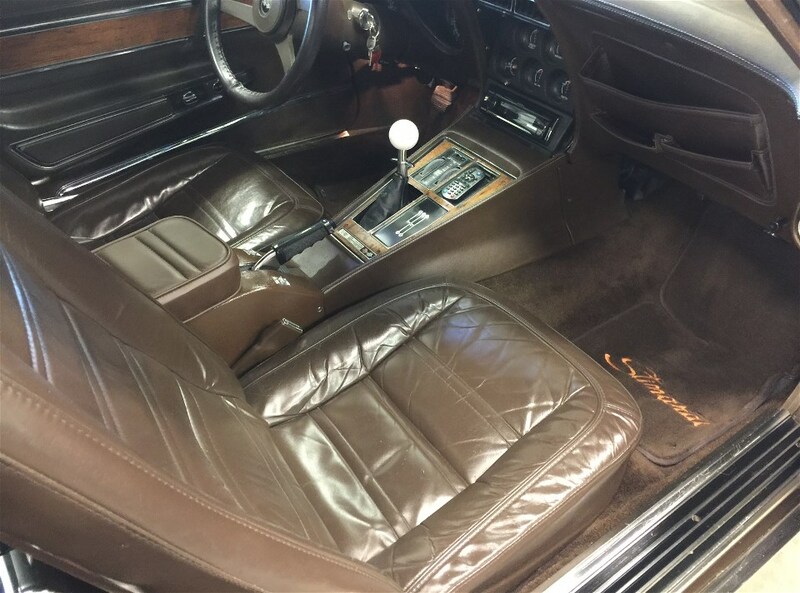 I don't know what year your Corvette is but If you're looking for a contrast have you considered using a dark brown carpet like that offered in '76? Could be real sharp with the rest of your interior in saddle. I figured the black would go well with my oyster interior, since there's already so much black ABS plastic in the mix to begin with. But the black certainly doesn't hide the white hairs my Spaniel is shedding. It does hide the black ones from him and my Rottie okay though. 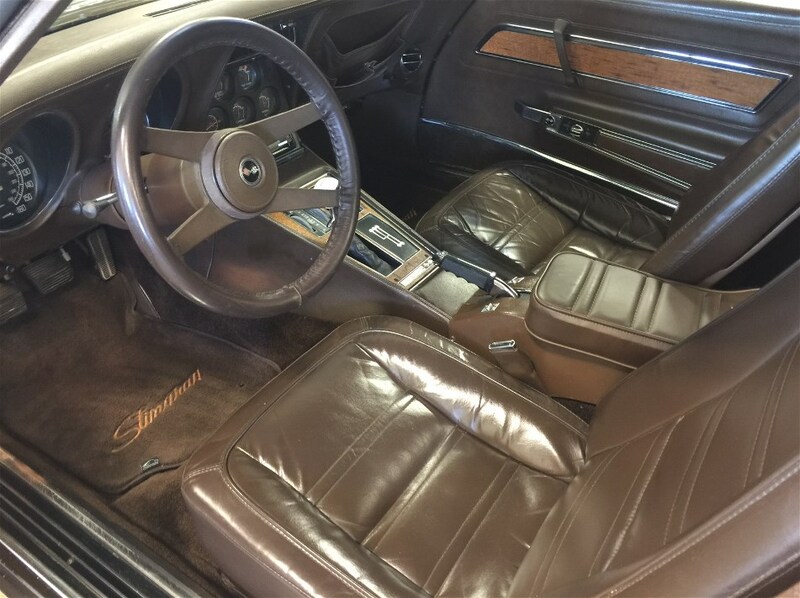 It's a '71 with the dark saddle interior. I can get a black carpet new in box locally with a good discount so that triggered these thoughts again that I've had a while. Also considering adding the deluxe stuff to the door panels and doing the door carpet strips in black and dying the kick panels black. Would be a bit of a custom look while keeping it easily reversible. But maybe it will look like garbage??? IDK man, the saddle interior looks too nice with the red to mess with it IMO. My dog is white so that would look a bit weird. But maybe it will look like garbage??? I hear what you're saying. Two tones are a gamble. 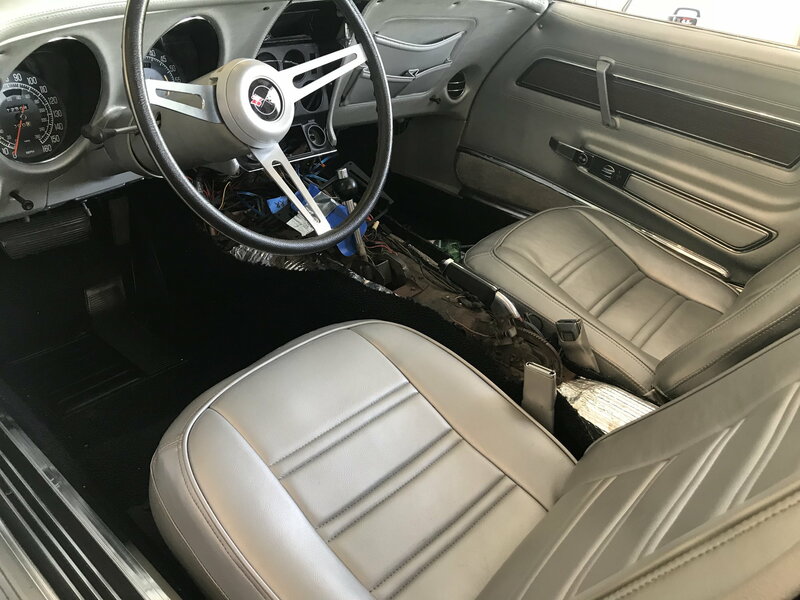 You don't want to spend the money, do all the work and end up with it looking like some used car lot had it and just put in whatever extra carpet they had laying around the shed. Not too many colors coordinate with brown. To my eye, the carpet would need to be either lighter or darker than the seats, but in the same tone. Even two brown colors might clash if one has some yellow in it and the other doesn't. I'm not seeing the brown black mix... Sorry. No on the black too. Good points above. I think black would look good against a light interior, but not a dark saddle. I'll stick to the 'correct' color. I love seeing an early C3 with a silver interior. You see so few of them which surprises me as silver interiors have always been pretty popular in most other cars. Zwede, the late C3 seats look sooo good in your car! While I'm usually hesitant to change colors on something as obvious as carpet can be, I think the black also looks good with jetglow's silver interior. I agree, the silver carpet can be a bad hider for soil marks, just like the light saddle carpet.